No matter what kind of event you’re planning, the best way to inform people about it is on the web. When you have an online point of reference to your event, people can check it out and sing up for participation whenever they feel like: 24 hours a day, seven days per week. 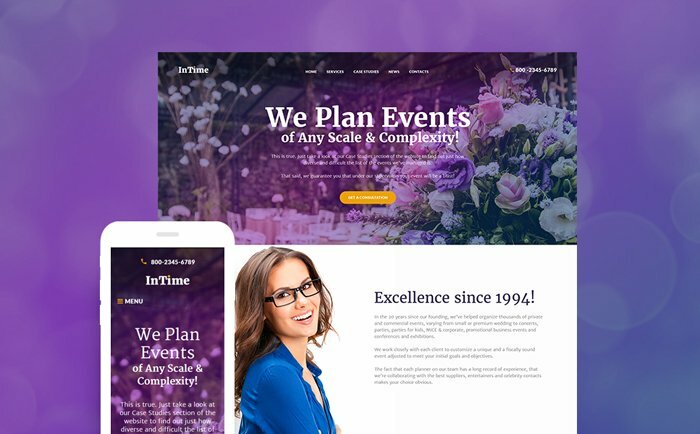 To power your event website/landing page with ease, you need one of the 10 event planner WordPress themes for presenting an event of any kind with flying colors. 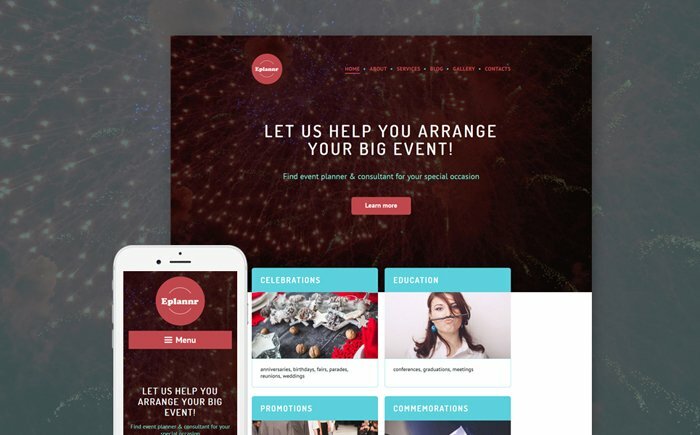 If you’re looking for an event planner WordPress theme, you can easily find the one that best fits your needs. Do you represent a business entity and want to host a conference for your employees or invited guests? 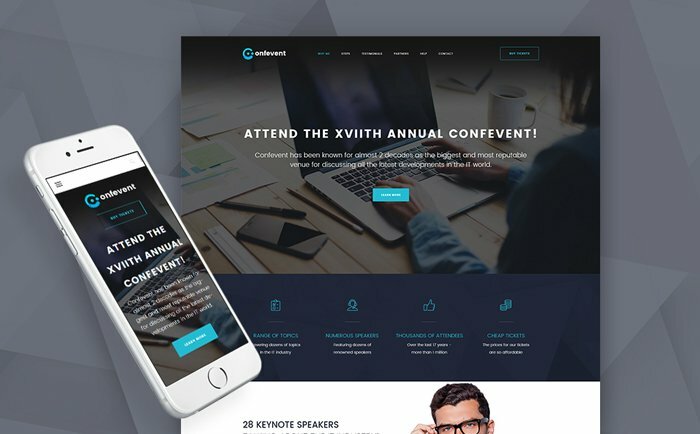 Then, take advantage of conference and corporate event landing pages. Such themes are more business-like and stay focused on your professionalism and innovativeness. On the other hand, are you about to throw an unforgettable party? 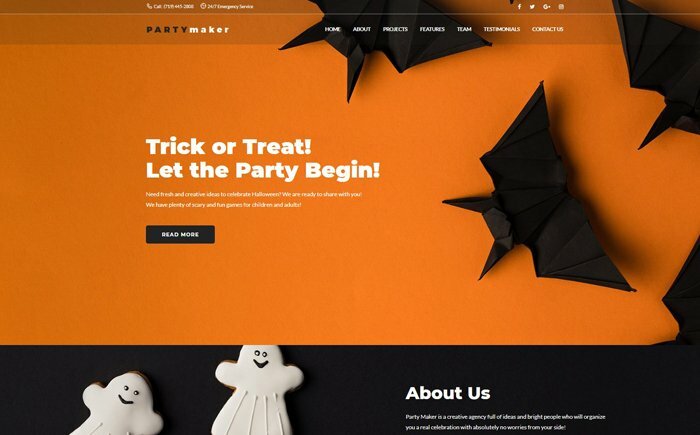 For you, this collection of templates includes the jazzy party themes to reflect the atmosphere of your event online. Moreover, events for kids are also covered. They reflect the carefree, play-oriented approach to such parties. Needless to say, if you represent an event planning company, you can tap into a wide pool of event planner WordPress designs for all tastes. Being the easiest CMS you can find, WordPress gives you huge customization possibilities. First of all, it pleases you with intuitive posting, ease of access, mobile readiness and time efficiency. Secondly, you can take advantage of revisions that let you go back and forth between different versions of your content. Needless to say, WordPress brings you thousands of plugins to satisfy different needs of website owners. Moreover, WordPress websites beat the other ones in terms of SEO and manage to get a higher position on SERPs. To learn more about the pros and cons of running your website on WordPress, check Why Use WordPress article by web development experts. 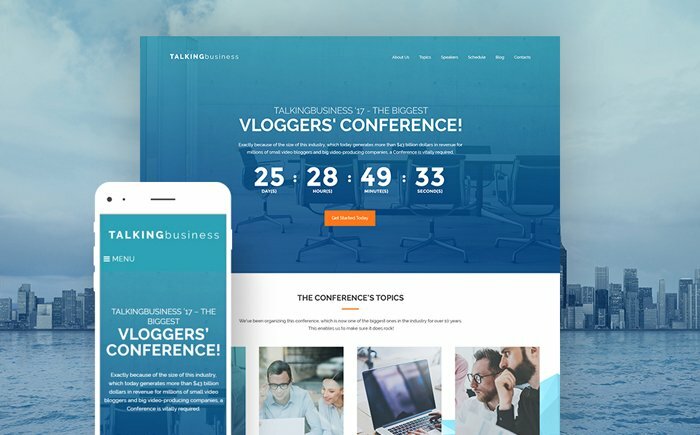 Are you ready to check out the most popular event planner WordPress themes? Go for their Live Demos to see them in action. Moreover, keep in mind that the themes presented come with round-the-clock live support that will solve any issues and difficulties you may face. Let’s go! This theme is developed for professional presentation of your corporate events. It features an unobtrusive color palette in the shades of blue and is content-oriented. Editing the theme, you won’t stumble over complicated coding, as you can take control of your website content with Power editor. Needless to say, tweaking the styling of the theme is also simple with Live Customizer that lets you preview edits in live mode. Are you throwing a party of the century? 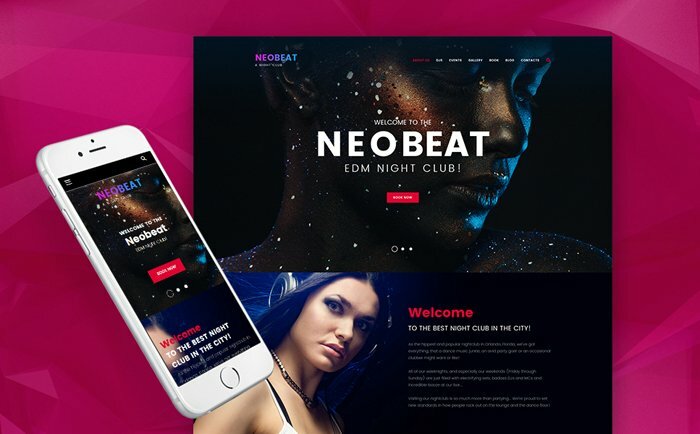 Then, you need the EDM party template that harbors the gist of party life and adds a chunk of style and glamor to it. The template opens with an unmatched slider that immerses into the atmosphere of your event and shows it in full blossom. Moreover, with Cherry Projects plugin, you get a chance to showcase the impressive shots from your previous events and to make this one even more tempting. Trick or Treat theme is created to make visiting your Halloween party irresistible. It harbors elements of flat design and fun imagery to let you foster a content-centered landing page. As a nice bonus, the theme includes a pre-built Booked Appointment plugin that lets people apply for participating online. What’s more, the template also includes the JetElements pack of plugins that diversifies content presentation on your website. 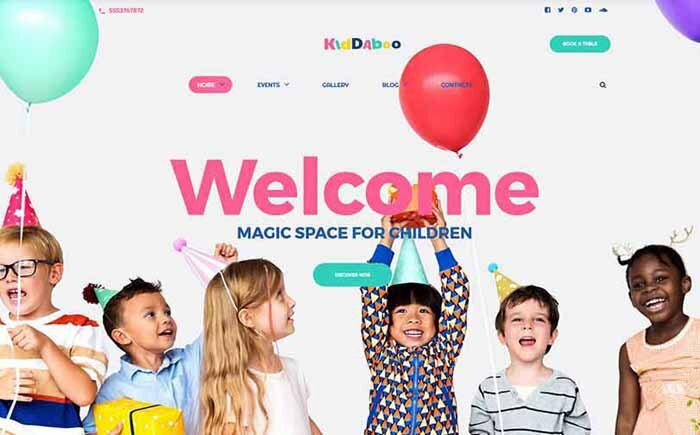 All the magic and fun for kids will start on the pages of your website thanks to this bubbly kids center template. It has the rich set of ready-made pages that let you save your time and launch your website quicker. Among them, you’ll find such pages as Home, Events, Gallery, Blog and Contacts. What’s more, the Blog page comes in 5 formats and 7 layouts; so that you can choose the blog formatting that works best for you. 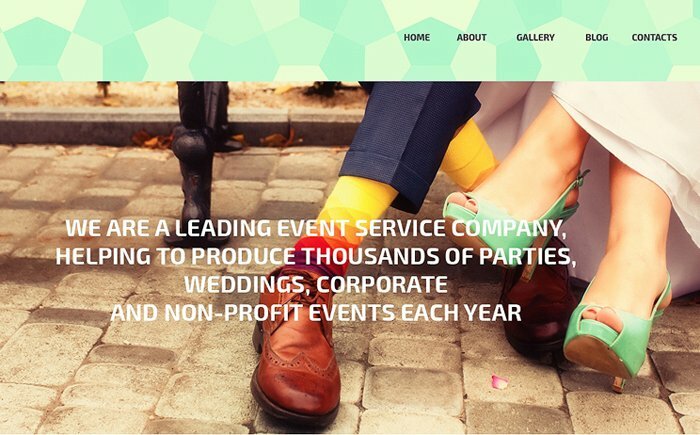 If you represent an event planning company, you’ll find the functionality of this theme simply jaw-dropping. First of all, it features breathtaking Parallax applied to the selected Retina imagery of the template. Secondly, Eplanner’s UI gets a boost with prebuilt MegaMenu that accounts for exhaustive menu panels that you can adorn with appealing banners and widgets. Thirdly, you can edit the theme on the fly with MotoPress editor that features simple drag-n-drop. This clean and minimal template is developed to accommodate the needs of business-oriented event planning companies. It’s optimized for conversion and boasts of bright well-thought CTA buttons that urge to click them. What’s more, the number of Cherry Plugins included foster the appeal of such section of your website as About Us, Our Team, Testimonials, Gallery, etc. Eventify is a clean and neat template for event planning agencies that balances the visual appeal with content-oriented design. This skillfully crafted theme equips you with a rich set of content modules and a collection of custom widgets. Among them you’ll find the ones that let you create counters, bars, tabs, post accordions, calendars and much more. Moreover, you’ll get a chance to render your feed in social networks thanks to social widgets included. To make all the party-goers flock to the entrance of your party’s facility, go for this rocking party planer theme. Based on the powerful core of Cherry Framework 4, this theme is built to boost your website’s conversion and performance in terms of SEO. Moreover, it brings you the much-needed Cherry Projects plugin, which account for creation of a stunning filterable portfolio of your accomplished projects. 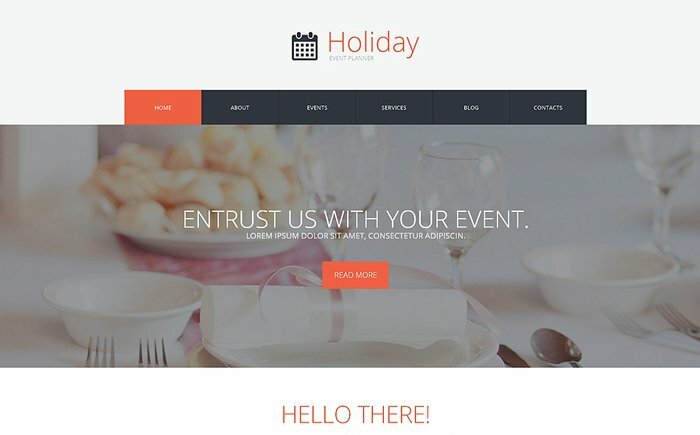 If you want to reinforce the positive atmosphere of your website, take advantage of this charming event planner theme for agencies. It comes with all the tools you may need for website customization on board. Get your work done quicker with 80+ shortcodes that can be added both to posts and pages. 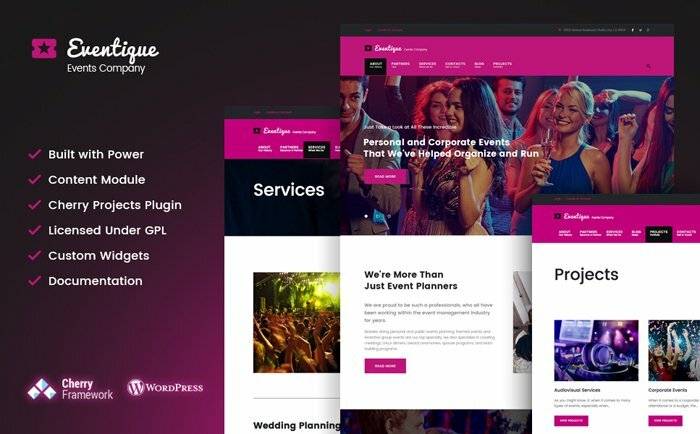 Have you enjoyed the modern look and extensive functionality of these event planner WordPress themes? Equip yourself with one of them, and you’ll be able to launch a popular event planner website within a short period of time. We wish you good luck in this!